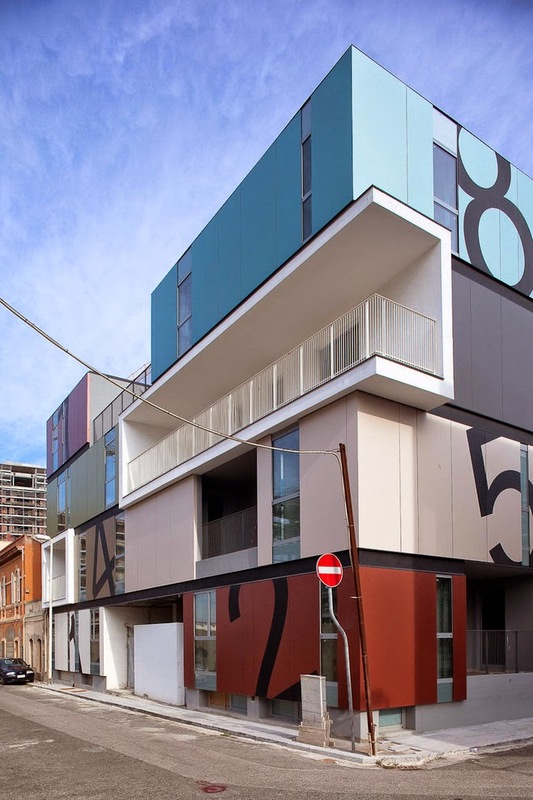 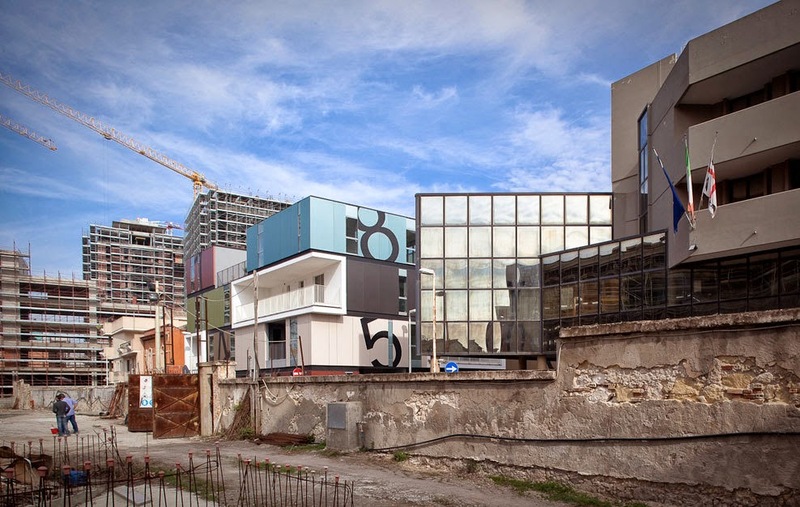 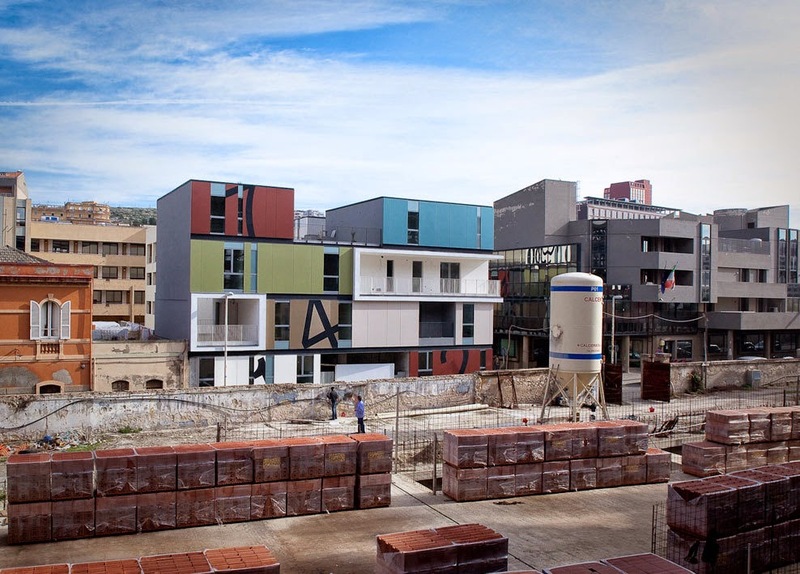 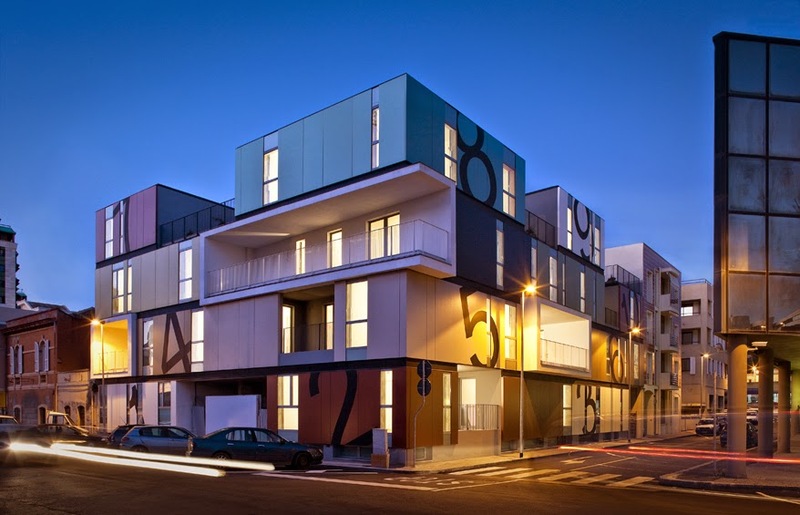 Container Building, "Condominio P" (Condominium - Apartment Block) is the brainchild of Italian Architects C+C04 Studio. 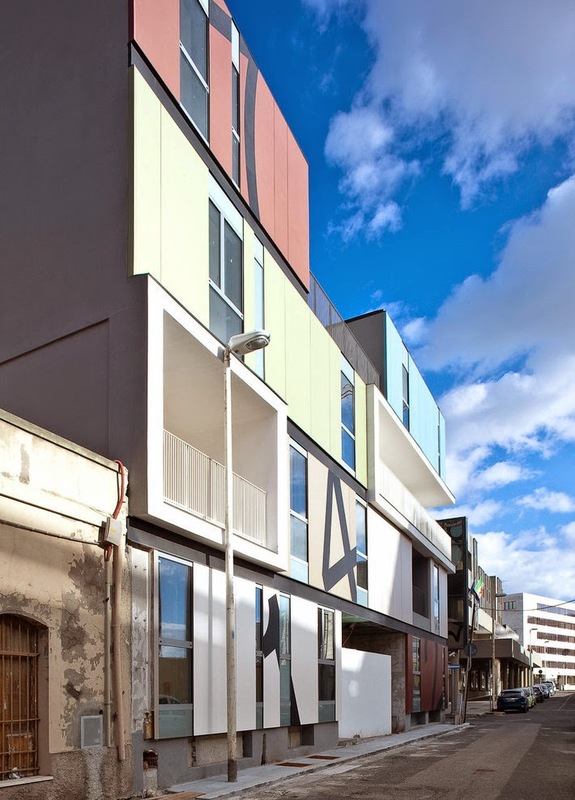 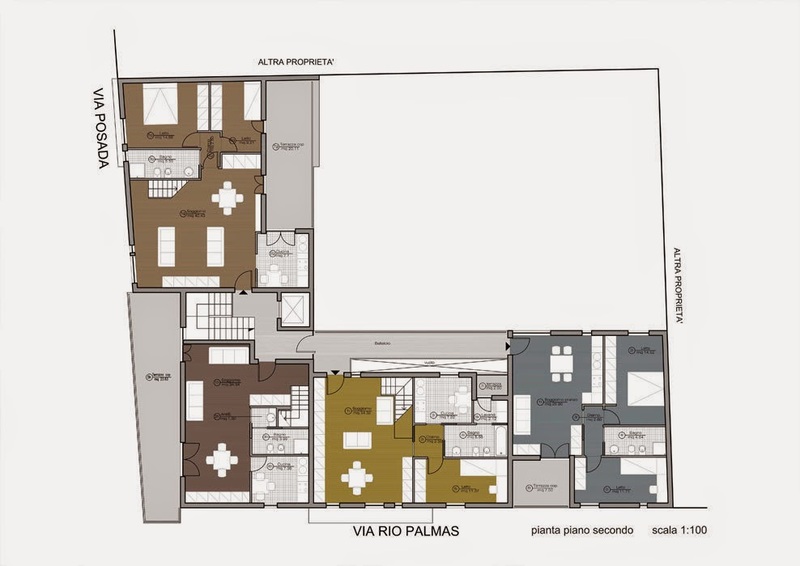 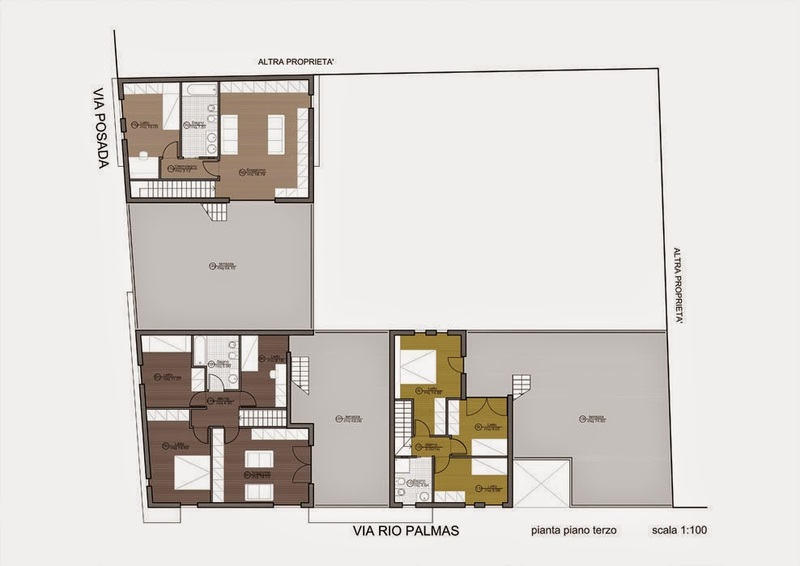 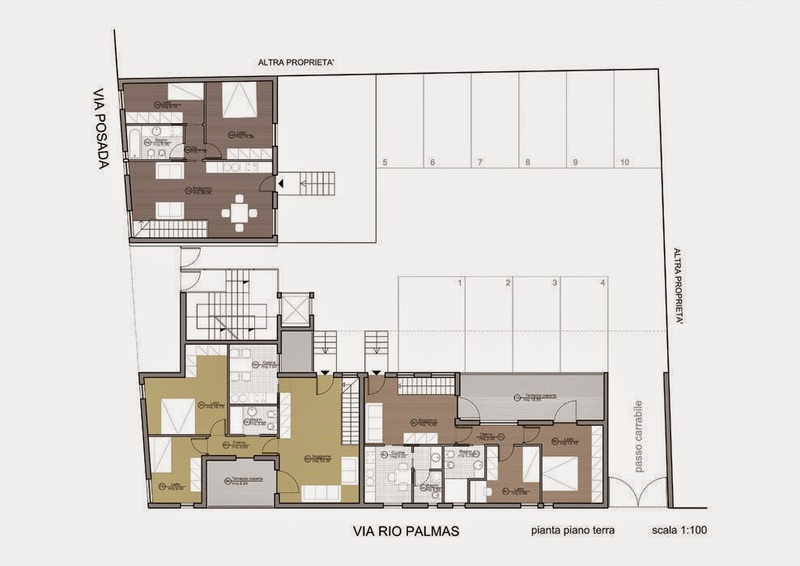 They sought a site in Cagliari (Southern Italy) surrounded by mostly buildings erected in the 1930-50s that went through a kind of modernisation during the 1990s, where dull was the colour of choice and bland was the design brief. 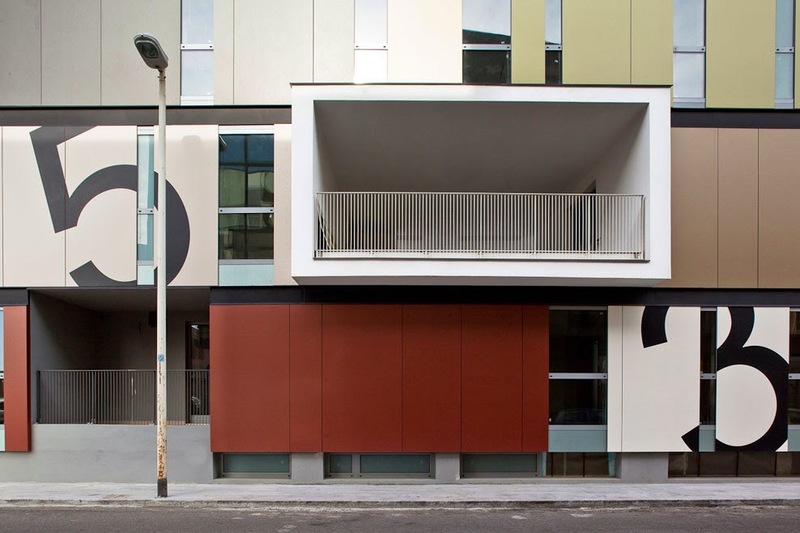 With this project C+C04 Studio aspired to make the building, therefore the surrounding area, colourful, light airy and individual. 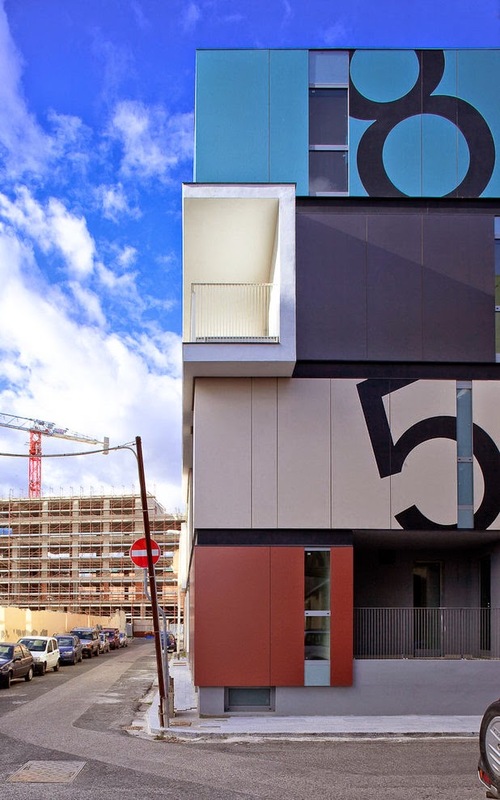 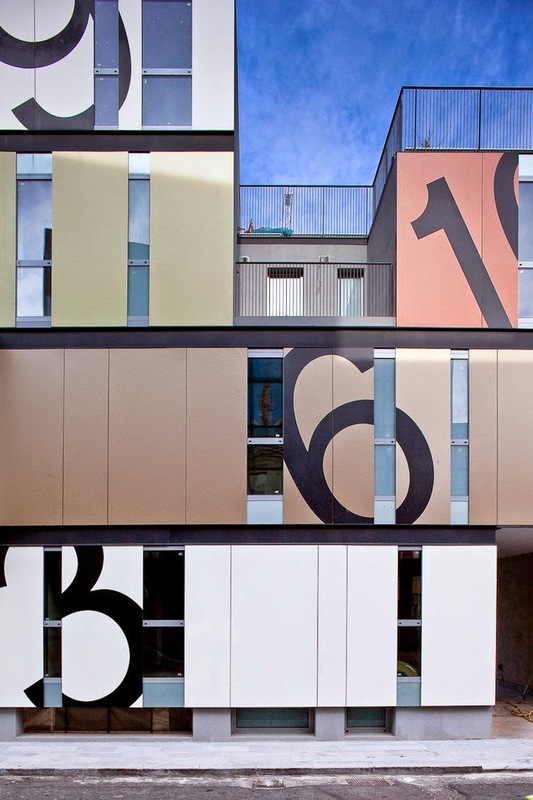 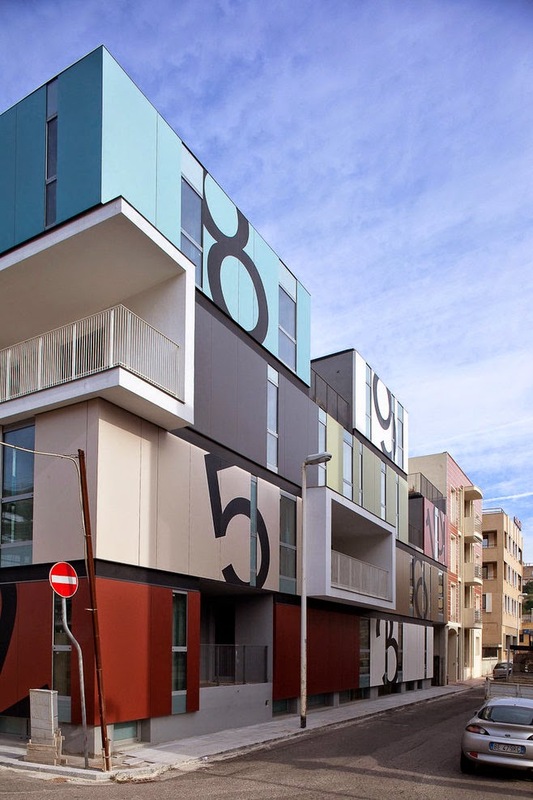 Every apartment has a different floor pan with the apartment number painted on the outside amongst the colourful facade. 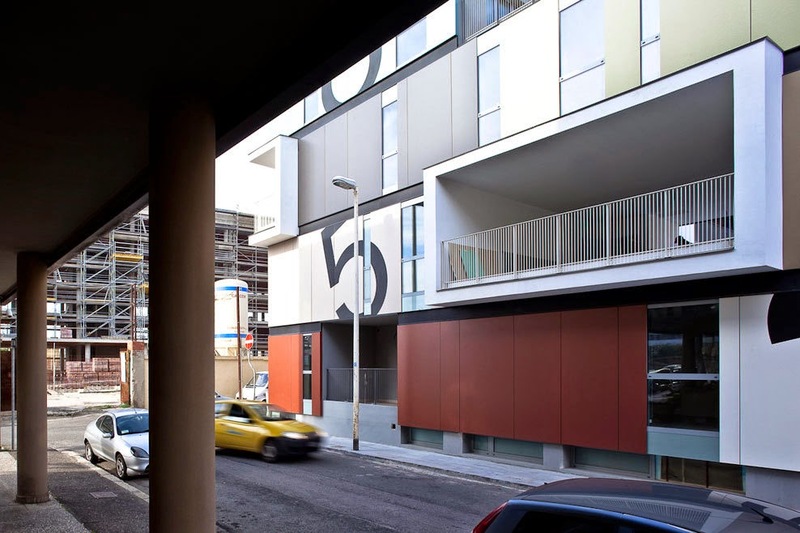 The Architects are hoping that this project will spark a light, that will lead to a creative change in the re-design of the area. 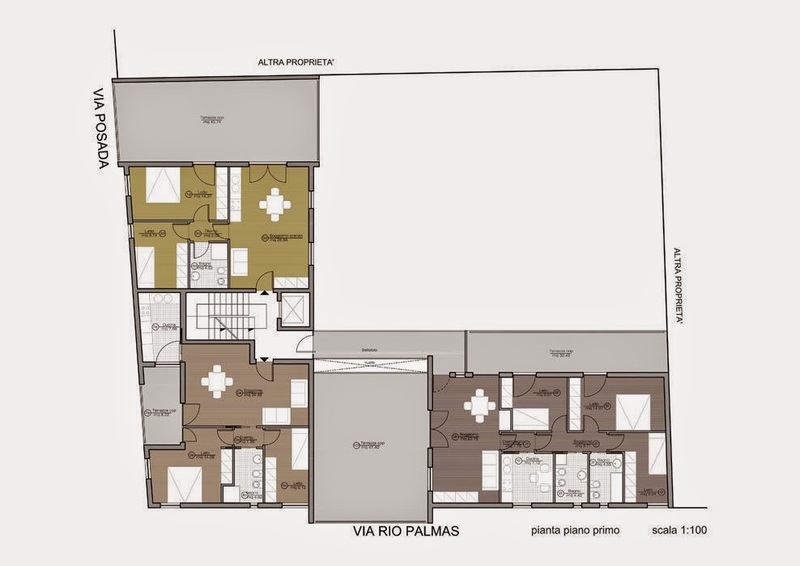 The Floor Plans are at the bottom of the post.